The volume of Freight Cars in service in the USA is as one would imagine, very large, and to be able to compile a single book detailing such a volume is not possible. However for the enthusiast who requires technical data on American wagons, help is at hand via a series of books each covering a different group of wagons. In addition to anyone who visits the USA who would like to know a bit more about what is behind the locomotives seen hauling a freight train, this series of books could be extremely useful to the Railway Modeller of American Railroads. These are not "spotting" books in the traditonal sense in that long lists of individual numbers are not given, although the number series of the wagons concerned is however given. A great deal of technical information is also shown, together with a history of the wagon type. 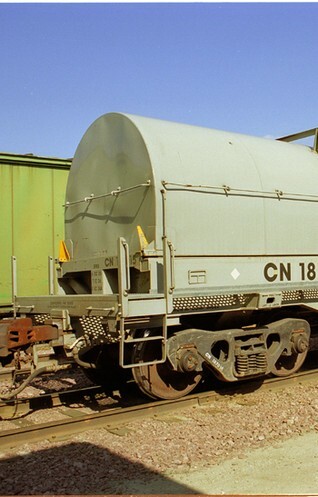 All the major types of wagon are covered such as Coil Cars, Tank Cars, Box Cars etc. Most of the data can also be obtained in e-format.